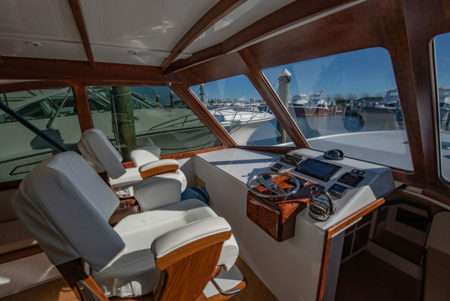 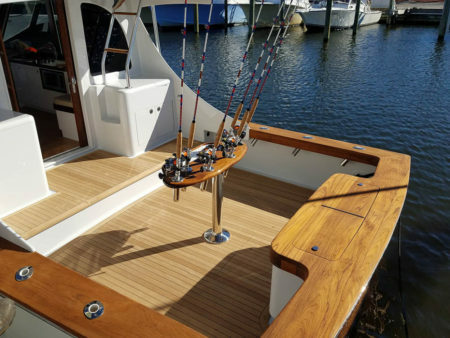 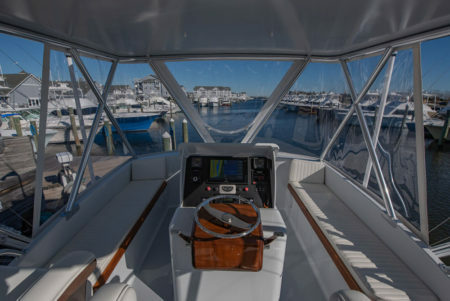 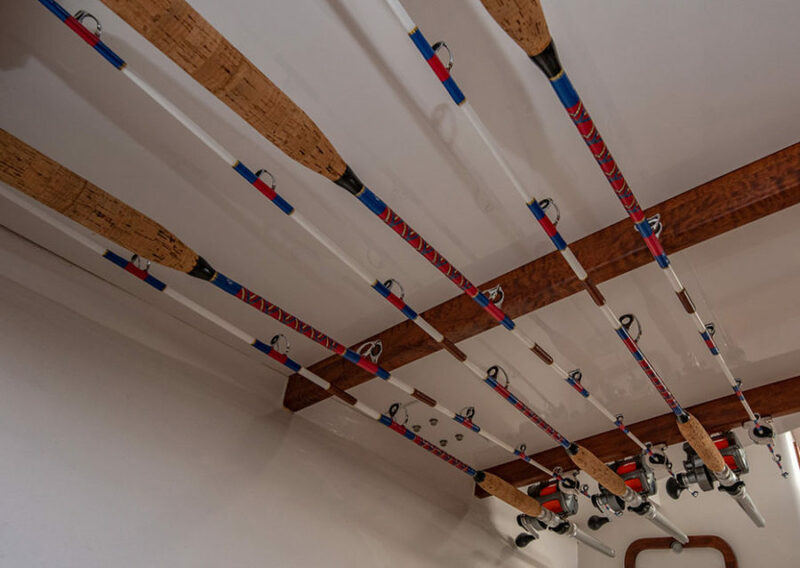 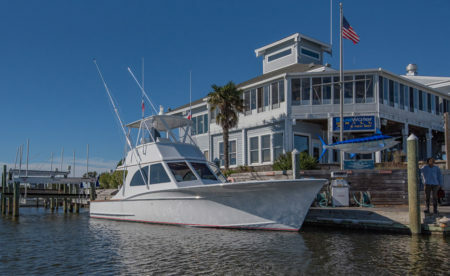 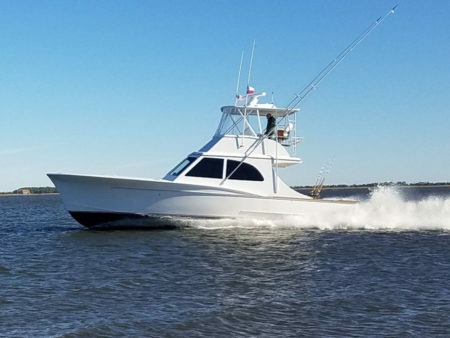 These middle-range boats, for the person who wants to fish offshore but doesn’t want the upkeep and expense of a large sportfishing yacht, can range from 39 to 42 feet. 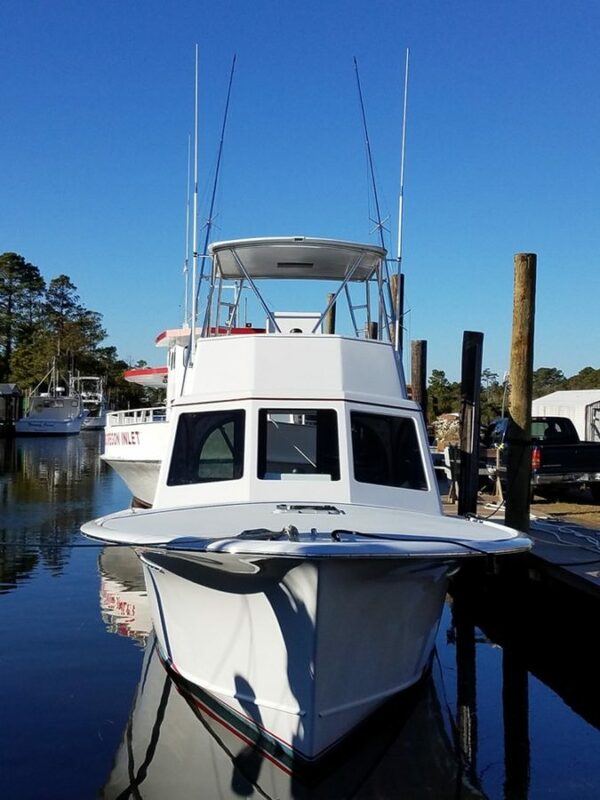 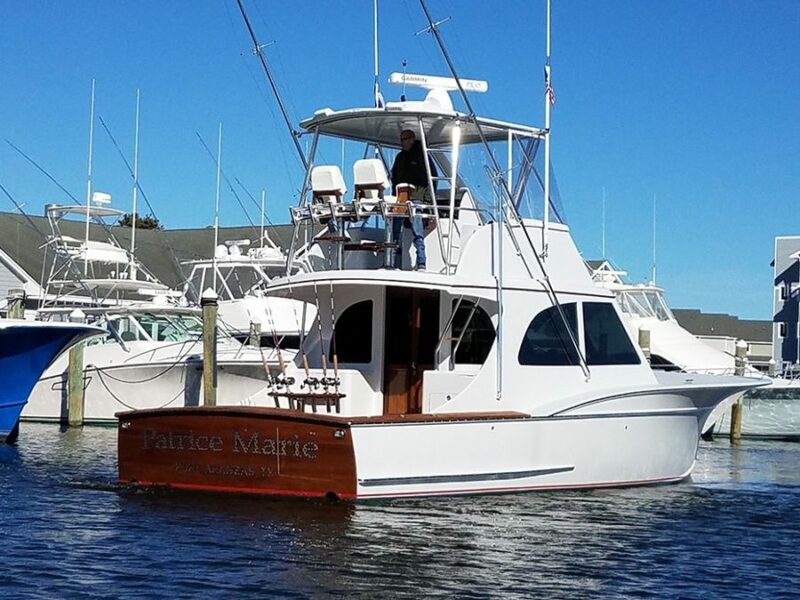 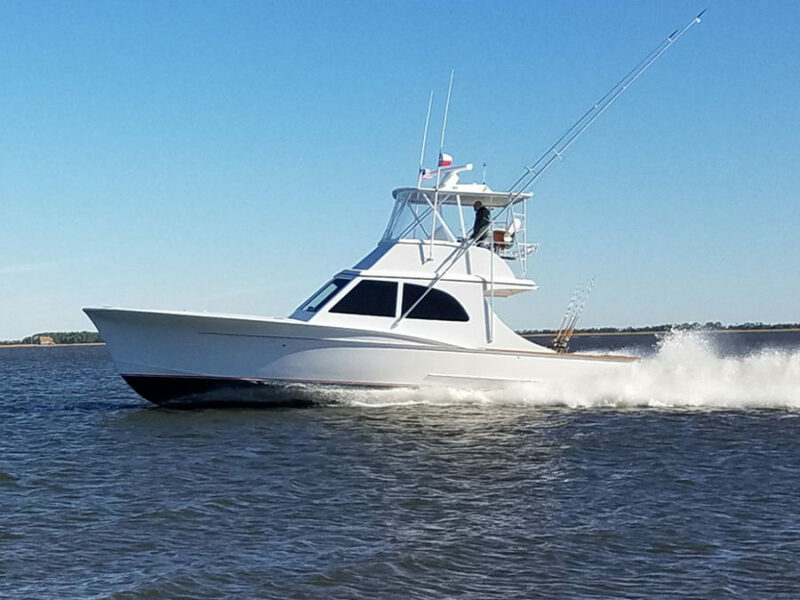 The Harrison Boatworks 39′ Express Sportfishing Boat has the best running bottom of any comparable size boat on the market. The progression of deadrise provides a smooth ride while retaining excellent stability in the cockpit for a long day of trolling under many conditions. 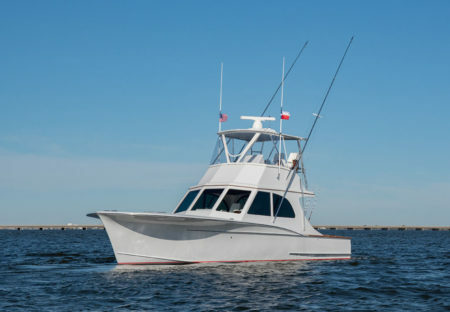 Perfect for short-handed offshore sportfishing. 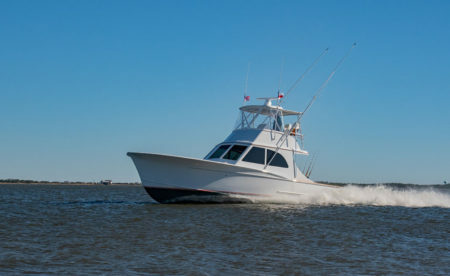 this boat is comfortable in even the roughest the offshore conditions. 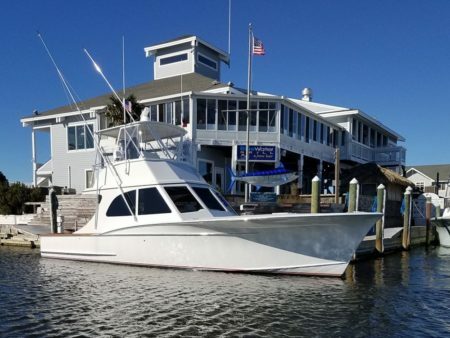 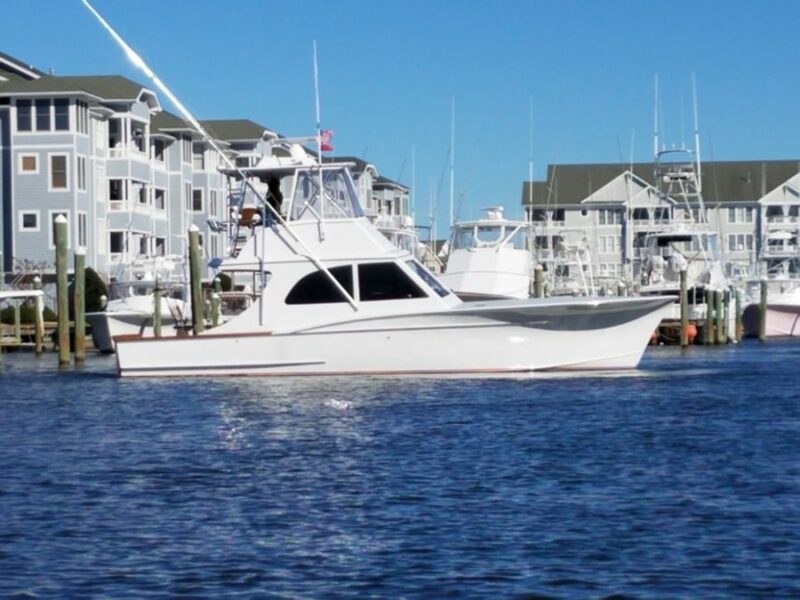 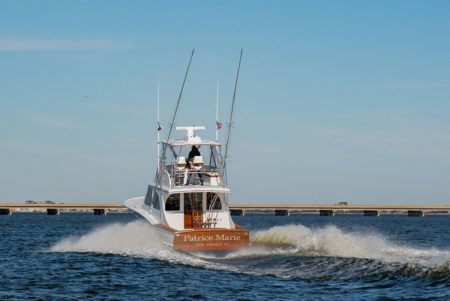 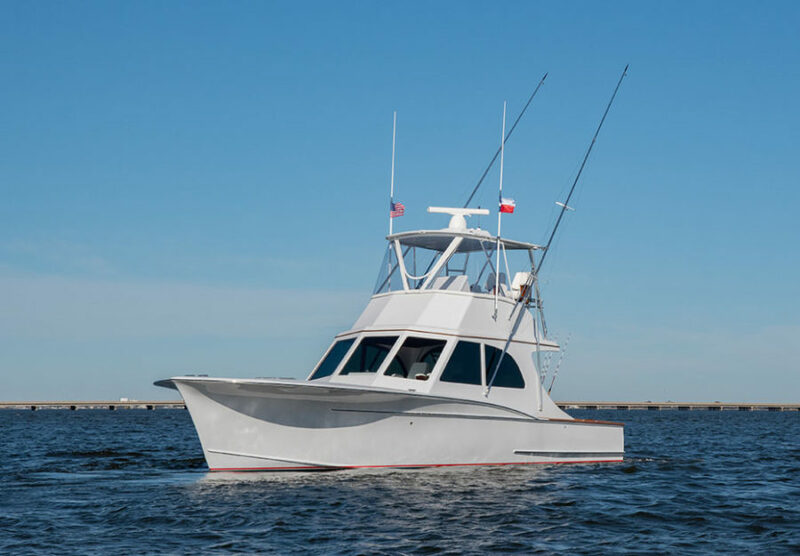 Extremely fuel efficient, the 39′ allows for affordable offshore fishing. These boats can be finished top side in the express style, walkaround style or dayboat or open bulkhead style with a fly bridge. 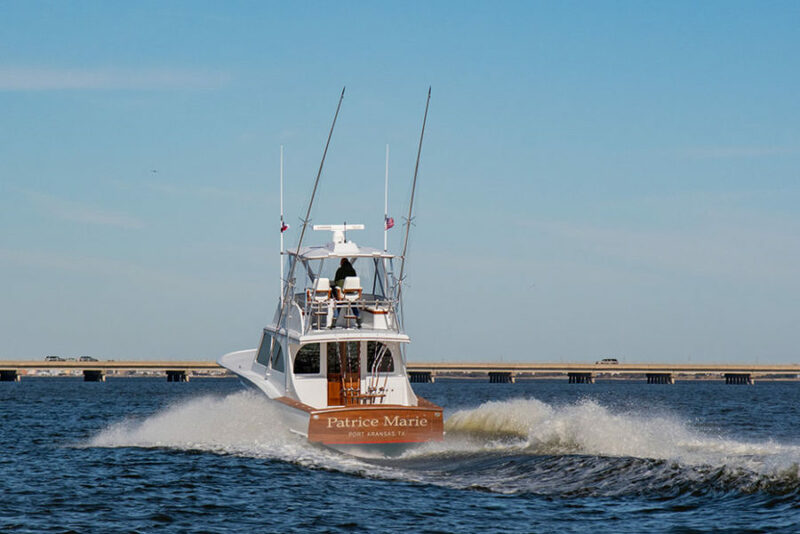 The power package ranges from traditional twin diesels, single diesel with a prop tunnel, outboards or pods. 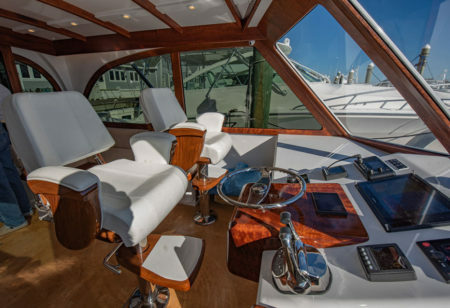 The interior and helm area can be finished to your specific requirements. 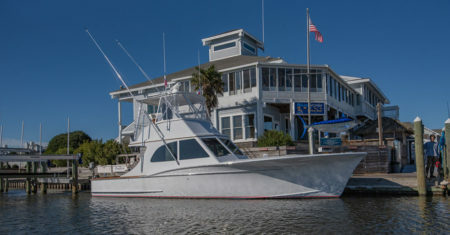 Full or partial towers are available. 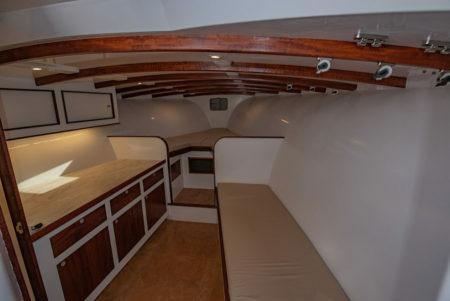 Bottom consists of three layers of 3/8 marine maranti, the sides are two layers of 1/4 okume plywood. 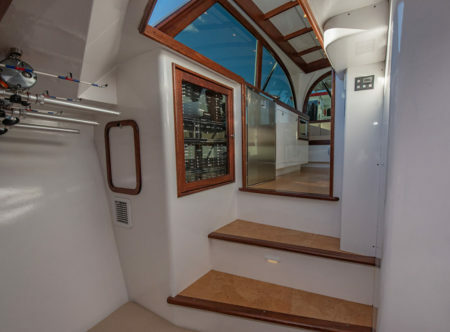 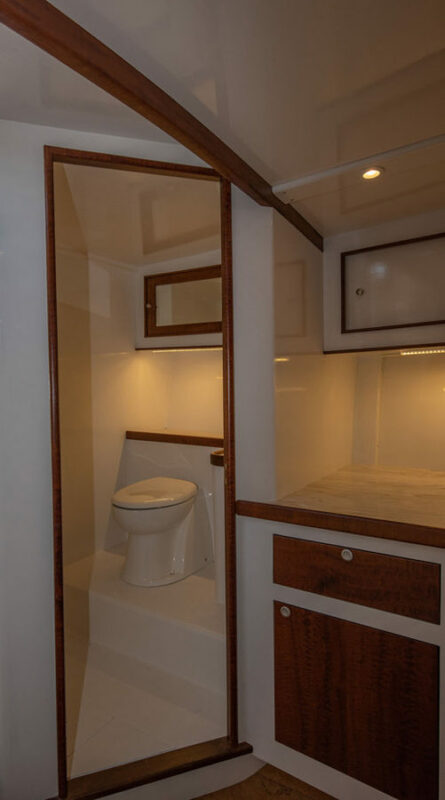 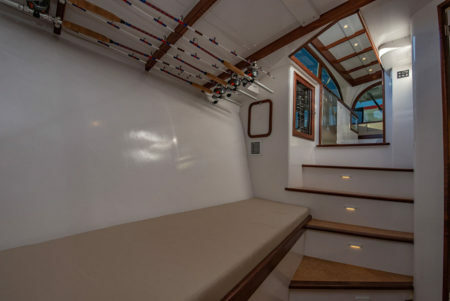 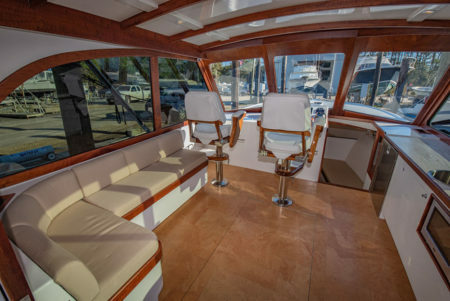 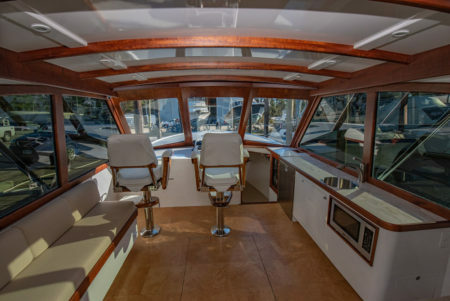 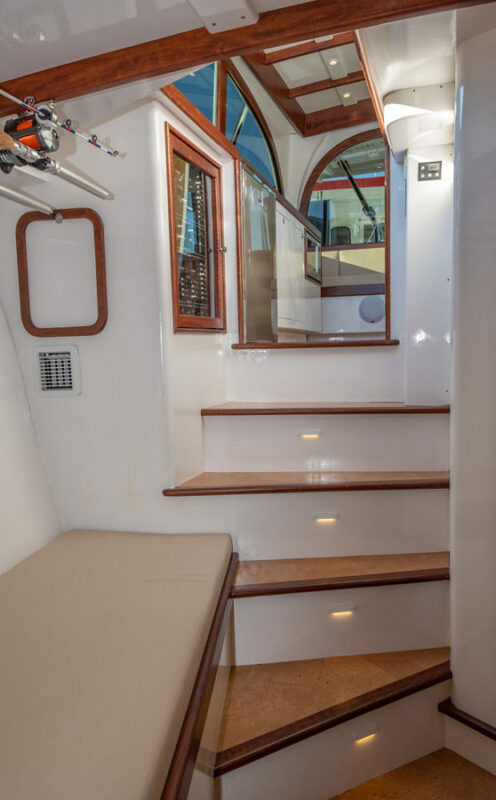 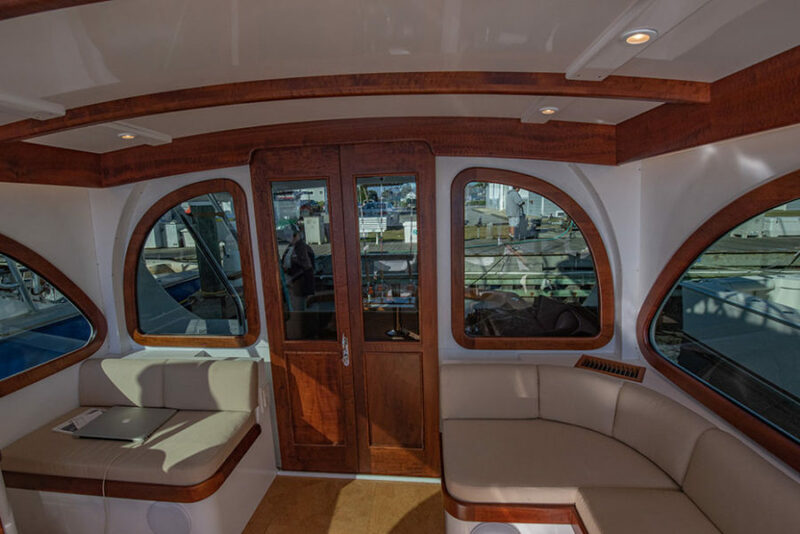 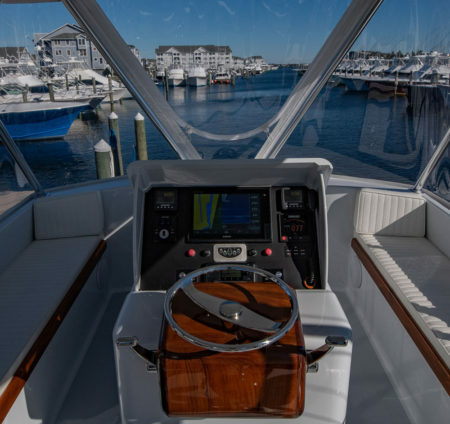 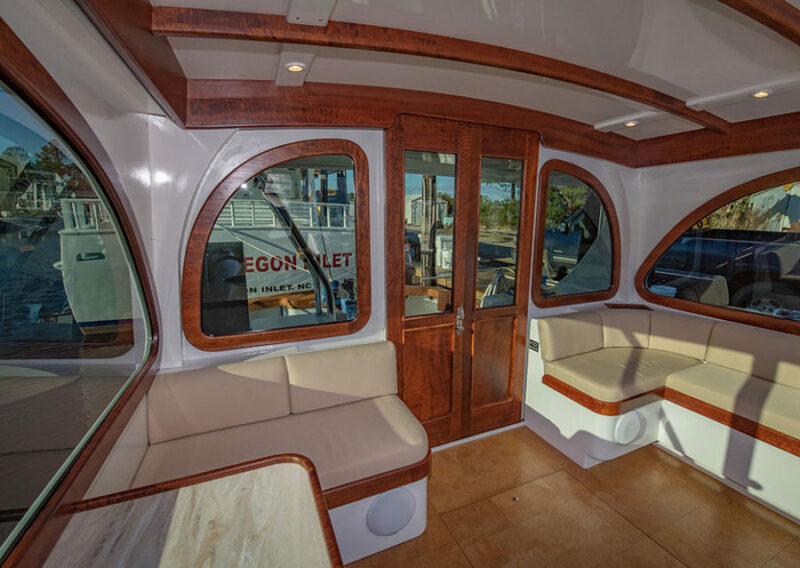 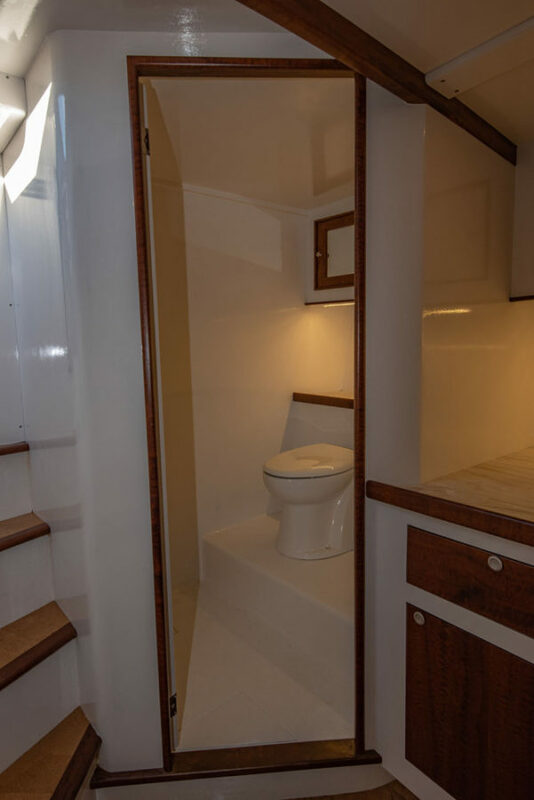 The exterior of the hull is covered with two layers of 1208 biaxle fiberglass and between each layer of plywood there is saturated mat fiberglass with 1208 fiberglass on the inside as well. 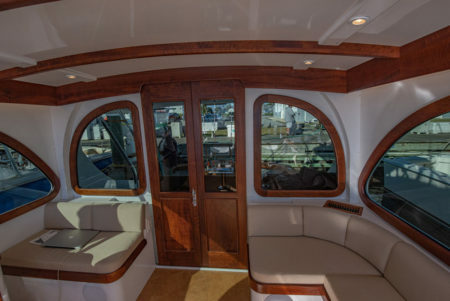 All bulkheads are two layers of half-inch marine plywood with glass in between and 1208 glass on both sides. 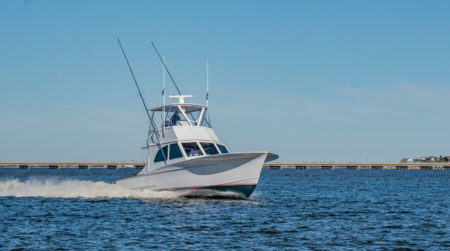 Engine beds are capped with u-shaped, half-inch aluminum caps that are through-bolted. 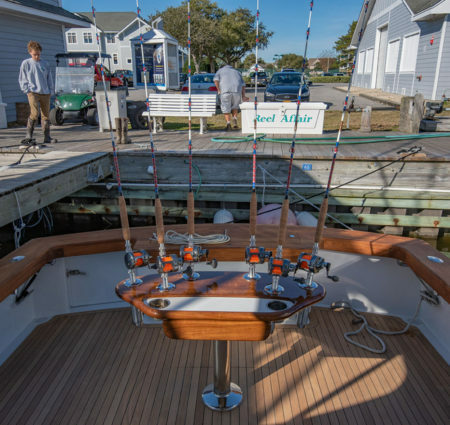 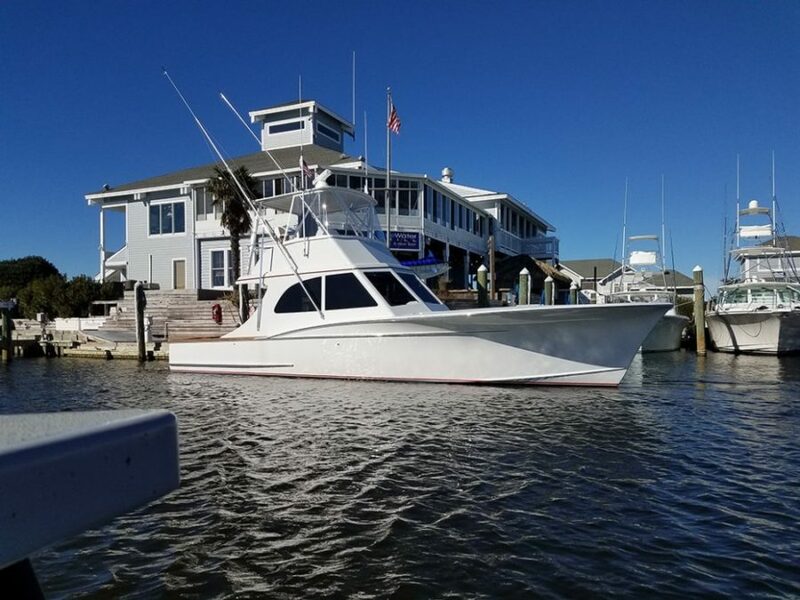 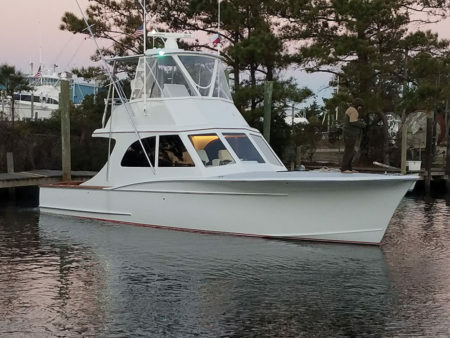 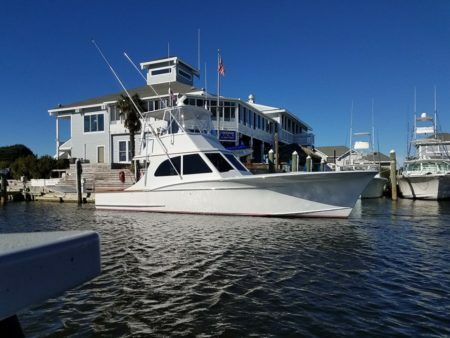 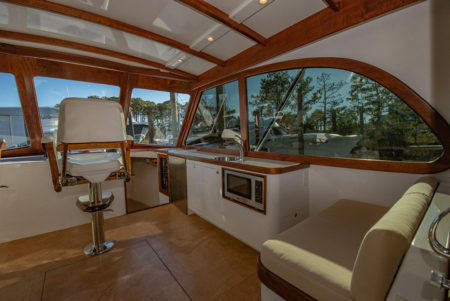 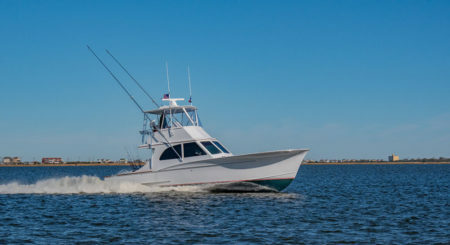 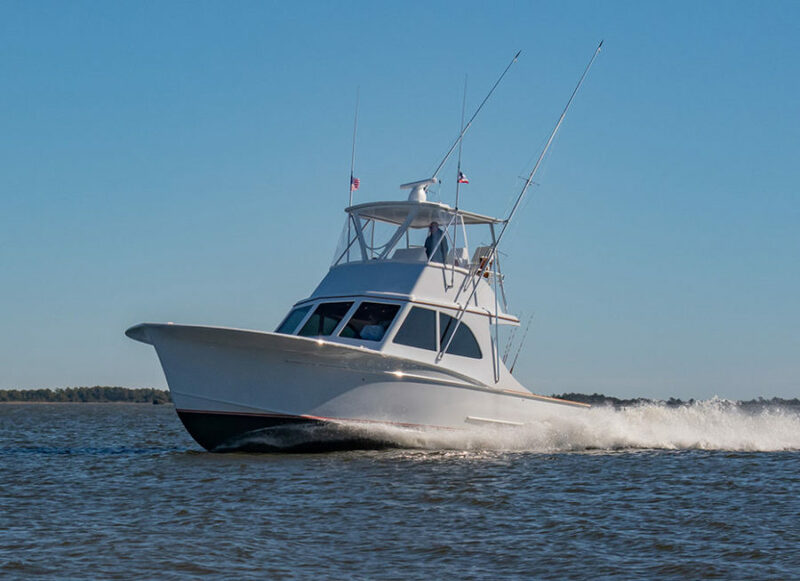 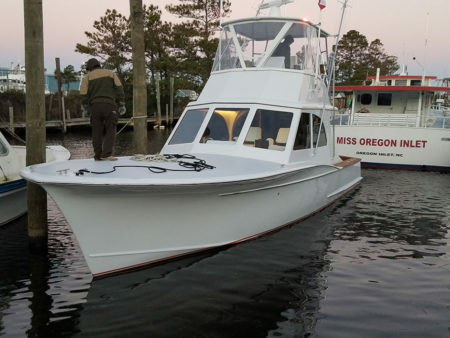 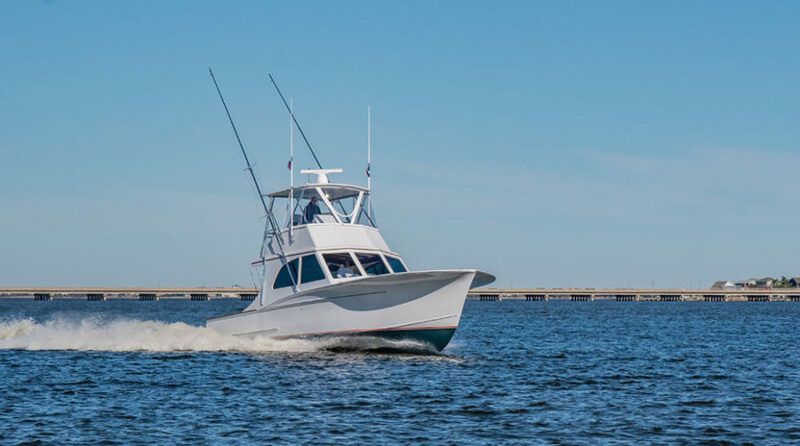 Harrison Boatworks’ 39-foot Express sportfisherman is a classically designed, custom Carolina boat built on Roanoke Island in North Carolina.